1.What is the scope of the Society? 3.How & why to become a member? 4.How to contribute to the website ? 5.How to raise an F-104 question? 6.How to identify an F-104 Starfighter? 7.Donations to the Int. F-104 Society? 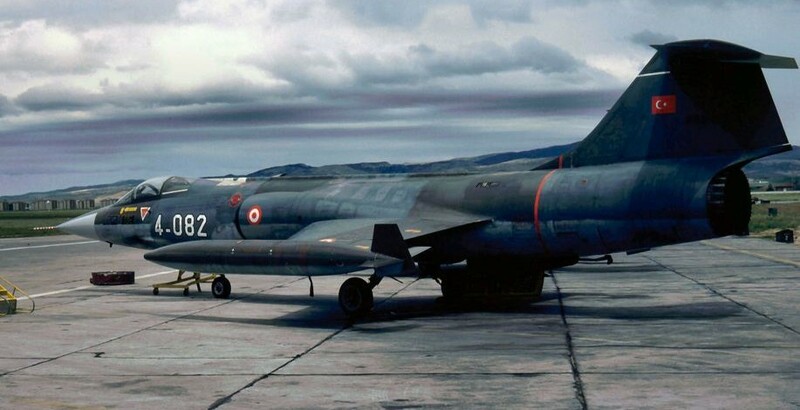 8.Want to buy an F-104 Starfighter? 9.Other Century Series aircraft groups? What is the scope of the Society? The International F104 Society has one major goal. It is the ultimate platform to share, maintain and support the preserval of F-104s and its historical information with a large group of interested people (members). 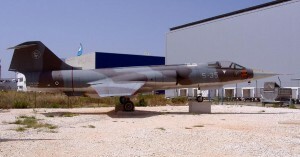 Most of the members have connection with the F-104 in the past such as (ex)pilots, crewchiefs and aviation enthusiasts. Some members own an F-104 or a cockpit and also the current Starfighter Inc team in the USA is member. The Society has been established in 1989 by two fanatic F-104 enthousiasts. In 1990 the society started to release a small news-letter called ASSASSIN with all kind of information and latest news about the F-104 Starfighter. This simple A-5 format magazine was released every 3 months and soon in 1990 a lot of Starfighter-enthousiasts all over the world became a member. Around 1993 we changed the magazine name to a more straightforward name "ZIPPER" after some advices from ex pilots. In 2005 the latest ZIPPER magazine was released via surface mail. Since it was purely based as a non-profit task it took too much time from only a few people and it was decided to change from real paper magazines to electronic magazines downloadable from the internet. This was quite a change but kept the 104 soul alive and the 104 Society community together. Currently the internet website in combination with our Facebook group account has taken over all the Society activities. The International F-104 Society is a non-profit and non-military organisation. We focus on the F-104 aircraft only and are not interested in specific weapon specifications etc. How & why to become a member? Membership is for free. The Society has now members in Holland, Germany, Jordan, Italy, UK, Canada, USA, Belgium, Sweden, UK, Ireland, Taiwan, Turkey, Emirates, Pakistan, France, Spain, Greece, Denmark, Norway and Japan. 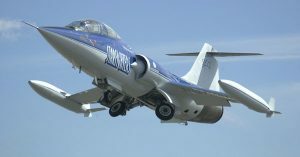 Among those members are also many (ex-)Starfighter pilots, crew-chiefs and technicians from various countries as well as the current owners of fly-worthy civil registered Starfighters. We also have a gallery available specifically meant for f-104 pilot members. - Membership means that you support the purpose of the Society to save/remember and promote the historical history and values of the Lockheed F-104 Starfighter and to share this with the whole community. - You will be notified on any Starfighter related news, stories, photos and backgrounds via the member mailing list from Yahoo (https://groups.yahoo.com/neo/groups/IntF104Society/info). - You will have fully access to the database (on individual aircraft) via a specific frequently changing password. - Ex pilots/crew-chiefs can find each other (on request due to privacy rules) if contacts are known. - Special requests can be made for certain photos or information. - Every member will be updated on new downloadable e-magazines (e-ZIPPER) which will be released now and then. - Every member can request an official membership certificate with number on it (via PDF). - And finally because the F-104 Starfighter deserves it... and it's for free!! If you are an ex F-104 pilot, please provide us with your order-of-Starfighters certificate number (if you have), a photo of yourself in or in front of an F-104 (if you have) and information about your F-104 career (hours flown, aircraft types flown, squadrons assigned to etc.). Please tell us (in message field) if you also want to receive an official IFS membership certificate by email with member number. If so, please tell us how you want to have your name spelled inside the certificate. How to contribute to the website ? Contributions for the International F-104 Society and its website are much appreciated. Please use the post form presented below where you are able to write a text (story etc) and add a photo to it as well. Posted information will be checked and approved as soon as possible to assure rapid publication. Of course it is also possible to send an email to us with stories, photos etc... however this might take some time to process. 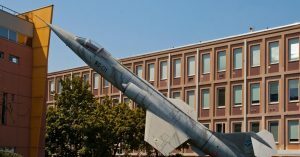 How to raise an F-104 question? Do you have a specific question regarding an F-104 or F-104s in general? Please do not hesitate to send your question in an email to info@i-f-s.nl . We will answer you as soon as possible. How to identify an F-104 Starfighter? Indentifying an F-104 becomes more and more a necessary activity. Lots of aircraft have been put on display with fake codes or even build from various parts making identification a horror activity. A few tips about how to identify an F-104 can be found here. Donations to the Int. F-104 Society? The International F-104 Society is a non-profit and non-commercial organisation purely run by volunteers. To run the website and arrange material we need funds. We welcome any donation to support our activities and promote the F-104 history now and in the future. Want to buy an F-104 Starfighter? Some people are interested in buying an F-104 for private use, display purposes, museum usage etc. Also somethimes people are interested in getting an F-104 flyworthy again. For the latter situation be aware that fly safety rules per country normally prevent people in flying any jet, especially when performances exceed speeds up to mach 2. At this moment only 104s are flyworthy (FAA controlled) in the USA and Norwegian Air Force supported in Norway (planned). For those of you who are interested in buying/obtaining an F-104 please find the latest list here. Other Century Series aircraft groups?